Madras man raises ostriches for breeding stock, along with rheas and emus, in 1993. Mlle. Yvonne Gall of the Chicago opera, a Parisienne and a relative of Marshal Petain, says it is true that at least 250,000 Yanks will wed French girls. American soldiers, she says, are struck by the home life of French girls and never again will be satisfied with girls of their native country. She does not hold, however, that French girls have greater beauty or charm than their American cousins. "The French girl follows her husband; the American girl wants to lead him. "The French girl is happy in doing for the one she loves; the American girl demands he serves her. "The French wives are the helpmates of their husbands, not their slave drivers. "French daughters obey their parents, do not dictate to them. "French mothers are teachers of their children, not their servants. "Your wonderful American soldiers have seen all this and will not be content to be treated again as the American girl treats her sweethearts. If they come back to America, finally they will find it necessary to return to France wither to live with a French girl or bring one back to the United States." There are ample funds available for the completion of the North Unit project and the president has recommended that $1,500,000 be allocated for that work. Bids will be opened on the construction of the Smith Rock tunnels and the building of the span to carry the siphon across the Crooked River. This should make possible the irrigation of 20,000 acres of land in the Metolius basin before too long, though this is only a portion of the 50,000 acres that will eventually be brought under irrigation. There is a need of at least 400 men and the War Manpower Commission has so far not changed their attitude of allowing 100 men on the project. To combat this, a meeting was held last week in Madras when members of the Jefferson Water Conservancy District met with State Engineer Charles Stricklin. Attorney Leland Brown from The Dalles, Engineer F.M. Spencer and Construction Engineer Clyde H. Spencer, of the Bureau of Reclamation, were also present. The members of the Water Conservancy District are determined that the project in its entirety shall be finished as soon as possible and to that purpose have pledged themselves to carry the fight higher than the Portland office of the War Manpower Commission, going as far as Washington, if necessary, in order to gain approval for the use of more men on the project which is considered essential. The only stumbling block in the way of pushing this work to a rapid conclusion is the labor situation. The belief, locally, is that manpower is available if the consent to use it can be secured from the Manpower Commission and that it is determined it will be accomplished either directly through them or from their superiors. There is some complaint about a few farmers not cutting up their lands into smaller units for sale, as agreed, but this will be ironed out soon. Concrete is piled at the entrances to the two big tunnels for use when bores are completed, according to Engineer Spencer. There is approximately $800,000 remaining in the original pool; $2,000,000 has been spent on equipment, and all is ready for efficient work that can move rapidly if enough skilled men are made available and that will be done if there is any way of accomplishing the purpose. The first two carloads of reinforced steel for the tunnels have arrived, one at Redmond and one at Opal City. 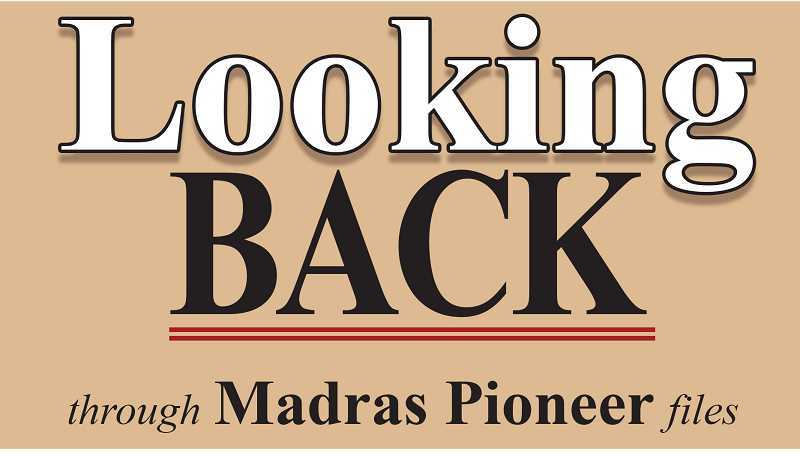 Madras City Recorder Bud Miller released figures last week indicating that 1968 was not a particularly memorable year so far as construction in Madras. There were 14 homes built in Madras in 1968, plus other buildings and modifications which totaled up to $190,000 for the year. The largest item on record was an $80,000-plus expenditure on the United Methodist Church. Compared to 1967, there were 12 more structures completed and the total expenditure that year was $275,000. Watch out cattle ranchers! A thick ostrich steak may someday be competing with T-bones, if the ostrich industry has its way. According to information put out by International Ostrich, Inc., emu and ostrich meat is lower in cholesterol, calories and fat than beef and produces far greater return per acre than other livestock ventures. Where a cow gives birth to a single calf each year, which might sell for $700 at market size, an emu can produce 30 chicks a year to be marketed at $1,500 each. In addition, cattle require many acres of land to raise, while emus and ostriches can be penned in on a small lot. The question is, can the ostrich industry convince consumers to eat an animal they have admired in Walt Disney movies and zoos, even though it tastes like beef? Madras resident Mike Porter's ostrich-raising operation isn't concerned about those problems at this point, because he is raising the exotic birds to sell for breeding stock only. Porter's three fenced lots contain rheas, known as the South American ostrich, emus native to Australia, and ostriches, which are native to Africa. The flightless birds are part of a group called "ratites" which also includes cassowary, kiwi, and the extinct dodo. "There are only three or four of us in the state raising all three kinds of birds," Porter noted. He began his venture in October after meeting some ratite raisers from Lyle, Washington, who were self-made millionaires. He purchased a pair of 3-month-old ostrich chicks for $8,000 and flew them up to Madras from Texas. The emus were bought in The Dalles and the rheas in Portland and Redmond. He said the rheas have been growing a foot a month and will reach an adult height of 5 feet and weigh 95 pounds each. Emus reach 6 feet and 150 pounds, while ostriches tower above the rest at 8 feet and 325 pounds. Compared to ostriches, emus are easygoing. "You can walk up and take eggs from emus, where an ostrich will fight you for the egg. People have emus for pets. I know some growers who have 3- and 4-year-old children around these birds with no problem," Porter said. A breeding pair of ostriches can sell for $25,000 to $40,000. If kept, they produce 70 eggs a year and chicks sell for $3,500 at 3 months. Fertile eggs can be sold for $1,500. The breeders remain productive for 20 years and can live to be 50 to 80 years old. A pair of emus can generate $75,000 in income a year laying up to 60 eggs a season. He said emus and rheas cost only $300 a year to raise and it can be done on very small acreage. Besides making a profit on selling breeders, meats or eggs, there are many by-products from the birds. According to Porter, rhea egg material can be used for bone transplants in humans, their oil produces a fine cutting oil, and the toenails are used in jewelry. Parts of the ostrich eyes can be used for human transplants, he added.